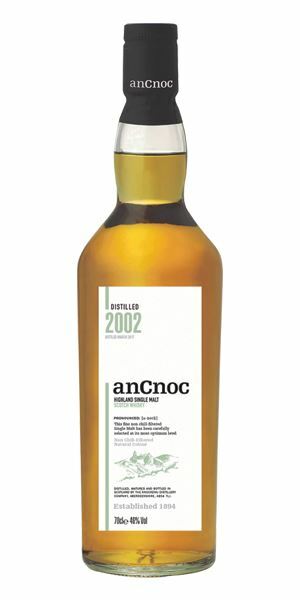 There’s a fine line between delicacy and maturity, which is skilfully handled by this week’s first new whisky – anCnoc 2002. Setting an accidental ‘dusty’ theme, the whisky has ‘excellent texture’ and notes of lemon, orange and sultana, says Dave Broom. 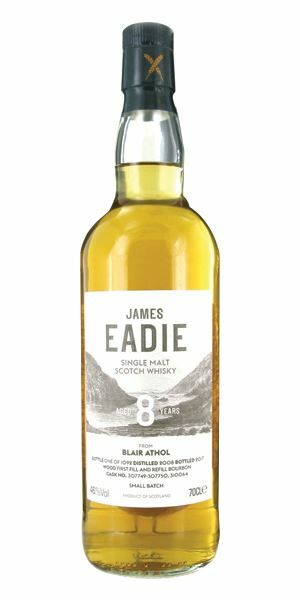 Following on from this comes the first of four new James Eadie bottlings for Royal Mile Whiskies, a nine-year-old Auchroisk, which is recommended as a delicious aperitif dram. 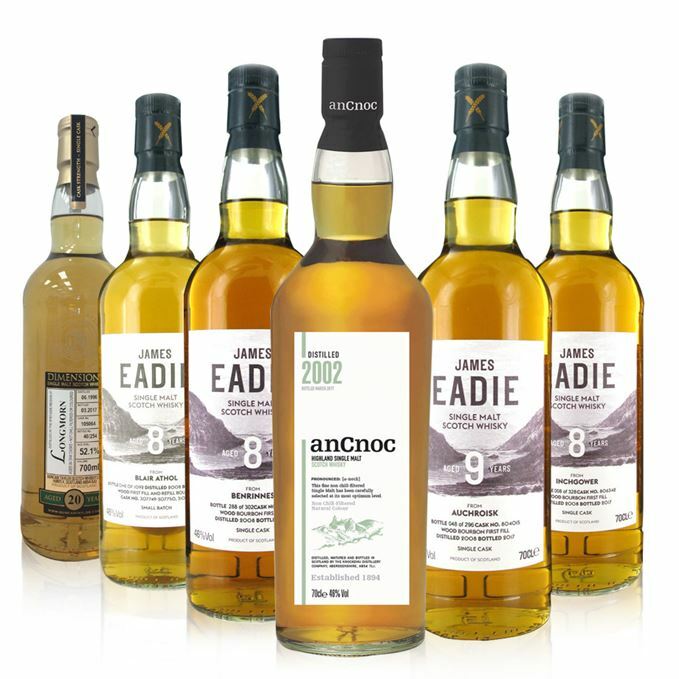 A second James Eadie bottling next, in the form of an eight-year-old Benrinnes, which like the anCnoc has a certain dustiness on the nose – neither of which should be taken as a bad thing, stresses Broom. 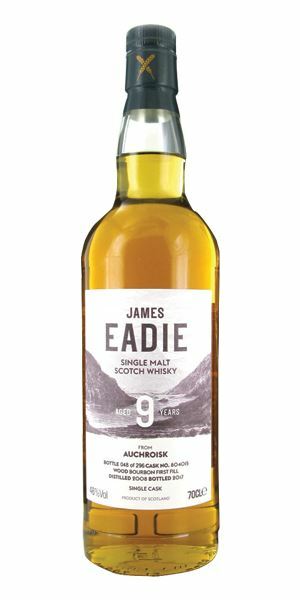 More James Eadie now, this time an eight-year-old from Blair Athol that’s full of sticky toffee pudding, chocolate and raisins. 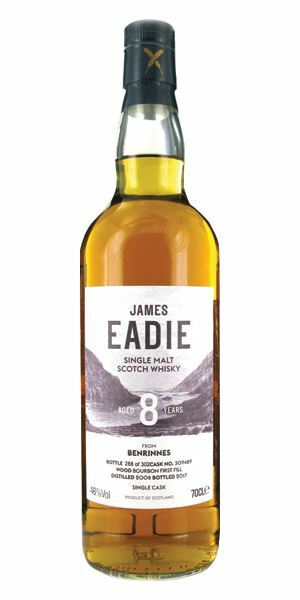 And onto the fourth, and final, James Eadie expression this week, an eight-year-old Inchgower, with pops of sweetness and spices. Then to complete this week’s line-up, a 20-year-old Longmorn from independent bottler Duncan Taylor that’d be good to sip while reading Roald Dahl’s James and the Giant Peach. Initially light, fresh and reminiscent of a summer meadow, with some bamboo shoot, high-quality white chocolate and liquorice. This subtle start gains some depth in time; a drop of water adds citrus and a lightly waxy maturity. A pleasing dustiness then develops, like the lining paper of an old chest of drawers. Very relaxed and gentle when neat, with excellent texture. Again, leads off with a floral edge (alpine flowers now and some vetiver) and more overt lemon and orange on the back palate. With water, more white fruits. Water accentuates the softness of the palate, where there’s some sultana and, far in the back, a cedary depth. 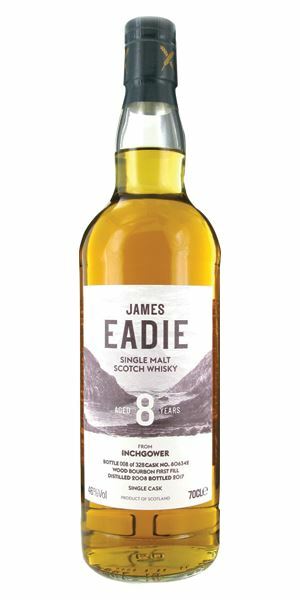 A fascinating dram which seems light, but successfully navigates the tightrope between delicacy and maturity. Sunlit motes of dust in an old lady’s bedroom. A sweet, slightly floral nose – all cake icing and pineapple. Gentle and seemingly delicate, but lifted. The aroma is retained well when water is added, showing a hidden resolve. If anything, it becomes more floral, with an added peppermint and raspberry element, and a little banana just at the end. A very sweet start as the cask (first-fill ex-Bourbon) makes itself known, adding a thick, silky texture and Caramac bars, before the distillery shakes itself loose and allows an estery lift-off towards the finish, which refreshes things considerably. Water makes everything gentler and better-balanced. There’s no great length, but this is a delicious aperitif dram, which is well worth snapping up. Trying to whistle through a Polo mint on the way back from school. 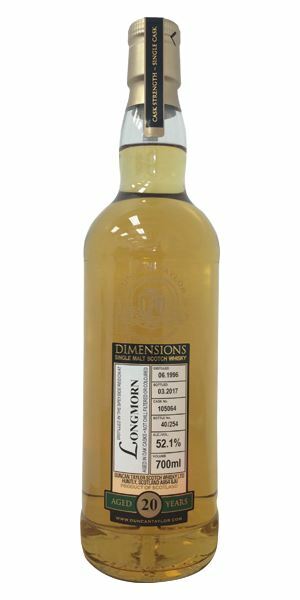 The golden colour suggests a bold cask influence, but this opens to a classic distillery meatiness with quite dry background: gentian, dry heather, hard toffee. With water, you get some menthol and a slight softening, but the dustiness (which seems to be one of this week’s themes) remains – which is no bad thing, by the way. Now the cask (first-fill ex-Bourbon again) comes in, adding butterscotch and toffee, its richness a match for the heavier spirit. When water is added there’s better integration between the two elements. A tramp over dry moorland. Opens with hazelnut butter, then a roasted element and an aroma that brings to mind treacle scone, malt extract and pot ale; in other words, good distillery character. The use of refill here allows the distillery more say than in the other bottlings. Some green nut notes, then sticky toffee pudding, but also very dry wood, meaning it is always struggling to find a balance between the three elements (two cask types and distillery). Some raisin, chocolate and a certain heaviness of character, if not physical weight. Thanks to Famous Recipes from Kelty (see also Batch 83), he now knew how to combine Marmite and toffee. The cask influence (first-fill American oak) is strong from the start, adding buttered toffee popcorn, rhubarb crumble and caramelised apple, then hint of roasted nuts. It dries in time before some anise pokes through. The cask dominates when water is added. A little of the intense spiciness/saltiness of the distillery now shows itself, the cask adding sugar sweetness in the middle (never an easy balancing act). Things continue to move in those two directions. Collapses with water. It’s certainly Inchgower, but it’s not fully integrated. A drive-in cinema on the coast. A huge marzipan, peach stone opening, then some soft fruit flesh with a slightly dry edge indicating its age, along with a buzz of alcohol. In time, there’s buttercup, camomile and meadowsweet, then beeswax and coconut. It takes water well. Shows some age, then the oak clenches the sides of the mouth while the alcohol heats the centre. Water please! Now things lead with fruit again, but it does take time to find some sort of balance, which comes over like dried peaches in old paper. Though there’s less fruit than you might expect, it’s rather good. After 20 years inside the peach, the novelty was beginning to wear off for James. Batch 97 26/05/2017 Dave Broom shares a taste of Islay this week, as the 2017 Fèis Ìle gets under way. Batch 95 12/05/2017 Island malts from Arran, Jura and Ledaig, plus three grains: Cambus, Invergordon and Strathclyde.